Can You Believe This Bag? This Puckish handbag is so great. A Bungee cord for handles? Why didn’t I think of that? Super cool, huh? 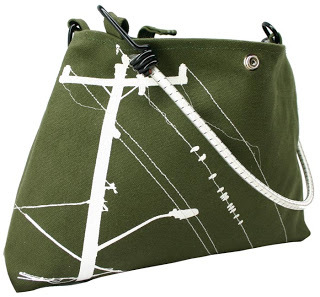 Maybe I should make a bag with a bungee cord handle? Check this Puckish handbag out here.